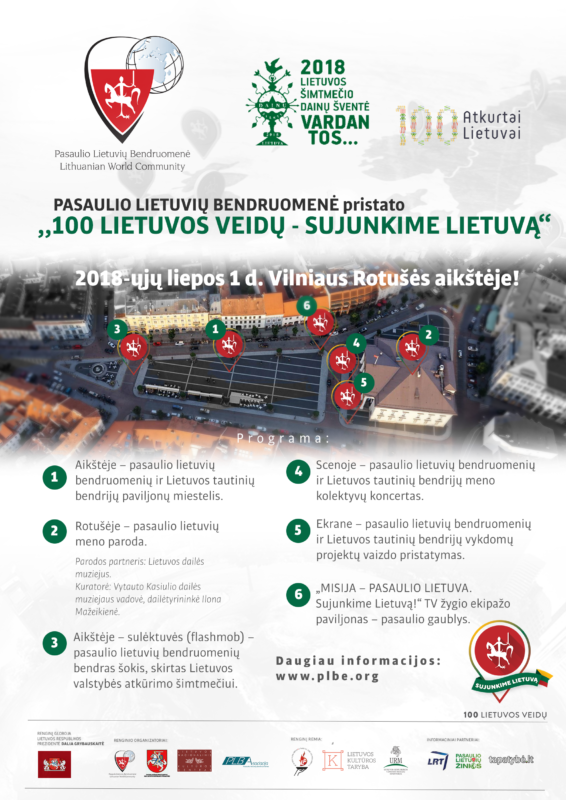 Sunday, February 17, the Montreal Lithuanian Community will be celebrating 101 years since the proclamation of the Independence of Lithuania at Aušros Vartų parapija starting at 12:30pm. The Wasaga Lithuanian Community will be celebrating Lithuanian Independence on February 23 starting with Mass at 2:00 pm with an official program to follow. On Friday, March 1 the Toronto Lithuanian Community will be holding a commemoration of Lithuania’s Independence at Lithuanian House, 1573 Bloor Street West, at 6:30pm. On Saturday, March 2, the Ottawa Lithuanian Community will be commemorating Lithuania’s Declaration of Independence, details to follow.